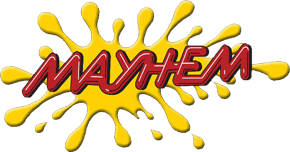 If you want to play Paintball in Epping, Mayhem paintball is under 10 minutes by car from the centre of Epping. Or if you want to come via public transport you can get the Central Line tube to Theydon Bois station, when at Theydon call Mayhem on 01708 688 517 and you can get a free pick up from Theydon bois station to Mayhem Essex and when your finished we will return you to the station. Mayhem Paintballing uniquley boasts sixteen different diverse playing areas; with Cars, Tractors, Bull dosers, a Town, planes, helicopters and much more. Mayhem Paintballing is regarded as the UK's best venue. Check out our scenario page and have a look at what we have to offer with crashed aeroplanes, 2 anti-world war 2 aircraft guns, Real Russian Battle TANKs, over 30 ex army vehicles and APCs. Perfect for days out, birthday partys, corporate events, Mayhem Paintballing in Epping has indoor rooms, corporate facilites so we can talior make the day for you. For more infomation call us 01708 688 517, email or pop in and have a look around. We guarentee if you have a look around you will book and it's always a pleasure to show our customers around. We can talior make the day to suit you, we also offer Paintball parites from 12 yrs old and Laser Mayhem Partys from 7 yrs old.